We love plastic business cards at Hall or Nothing Designs. When you hand your prospect a semi-translucent frosted plastic business cards, you set yourself up for a successful relationship right from the start. The substantial feel of the plastic, coupled with the modern design aesthetic of using clear or frosted plastic gives your customers the impression that you have high standards, and therefore must offer a quality product or service. Don’t limit your creativity to just business cards. Plastic cards would make great general membership cards, loyalty or rewards cards, or discount cards . We could design a blank area on the card for you to be able to write a customers name using a permanent marker or sharpie. We could even print a scannable bar code to apply a discount at checkout—a great way to track your customers! You could even use these cards as clothing hangtags, employee badges, tickets to an event, or tags for a gift basket. Stand out from the crowd. 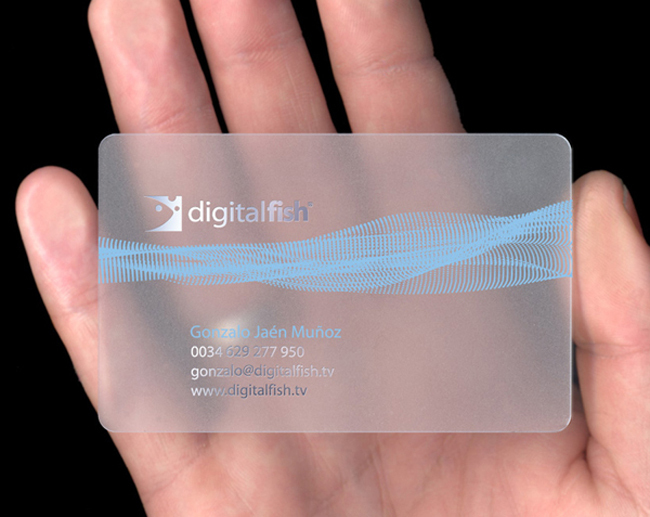 Not many of your competitors will have a plastic business card, so you’ll immediately stand out. Water-proof. If you own a pool cleaning service or other water-related industry, you may benefit from the water-proof nature of plastic. Durable. Plastic business cards can stand up to abuse, a quality that might demonstrate the rugged personality of a construction company, or it’s durability might be necessary for the element explosure at a restaurant. High-tech. Plastic has a high-tech feel that would serve a software or communications company well. 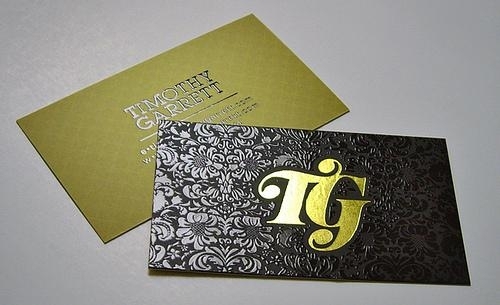 For some time now cold-foil printing has been the go to process when you want to dazzle clients with your printed collateral. With cold-foil printing, the printing process uses a standard printing plate to apply an adhesive to the substrate. The adhesive is then used to transfer foil onto the substrate. Finally, a CMYK full color process is used over the foil to create a shiny foil finish with the color of your choice. While this process is still very much a reliable one for long-run print jobs, a new process, called Akuafoil, has risen to the top for shorter runs. While the file set up for Akuafoil printing is much like that for cold foil printing there are a few fundamental differences that separate the two different processes. Akuafoil provides the same elegant foil finish as cold-foil printing. However, Akuafoil utilizes a different printing process than traditional cold-foil printing. With Akuafoil, a layer of silver ink is applied under regular colors, resulting in glimmering metallic accents on your printed pieces. Like cold-foil, Akuafoil uses CMYK colors, offering you the chance to brand your business cards, post cards, brochures and so on with a variety of hues. Akuafoil even offers gradients in any CMYK color. Akuafoil printing is simple and affordable for short-run print jobs. Hall or Nothing Designs is proud to offer Akuafoil printing as well as cold-foil printing for larger jobs. Contact us today to get a quote and brighten up your image among customers with luminous Akuafoil printing.